The Bears will keep one of their top special-teamers in Chicago, reaching an agreement to re-sign safety Chris Prosinski, Adam Jahns of the Chicago Sun-Times tweets. They also kept defensive lineman C.J. Wilson. Prosinski’s deal is for one year, the team announced. The Bears signed Prosinski to a one-year contract last March. A former Jaguars fourth-round pick in 2011, Prosinski has played the past two seasons with the Bears. He saw action on 174 defensive snaps last season, operating as a backup mostly. Prosinski will rejoin a Bears secondary that now houses Quintin Demps and will assuredly be used on most of Chicago’s specialty units again. The soon-to-be 30-year-old safety made 18 tackles last season. He made one start in 2016 and five in ’15. Prosinski resided in Dallas Robinson’s top 15 available safeties. He did not generate any interest, at least publicly, from other teams in his latest UFA foray. Wilson caught on with the Bears after a nomadic season that saw him become part of several NFL transactions. The former Packers starter bounced around to several spots before landing in Chicago midway through the 2016 campaign. Wilson will turn 30 next week and should he make the Bears’ 53-man roster, this will be his eighth NFL season. Although, he had issues sticking on teams’ active rosters last season. The Bears have made a handful of roster moves today, and the transactions are headlined by the activation of wide receiver Marquess Wilson from the physically unable to perform list, as Brad Biggs of the Chicago Tribune reports (all Twitter links). Additionally, Chicago has placed defensive lineman Will Sutton on injured reserve and signed fellow defensive lineman C.J. Wilson to take his place on the 53-man roster. 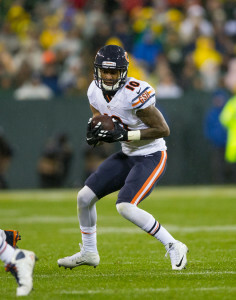 Marquess Wilson, 24, should add a reinforcement at wide receiver now that Alshon Jeffery is set to miss the next month after a PED suspension. Out since the summer with a broken foot, Wilson should immediately slot back into the Bears’ regular receiver rotation. 2015 marked the third NFL season for Wilson, and he turned in a career-high 464 yards off of 28 catches with a touchdown in 11 games. He’ll become a free agent after the season. Sutton becomes the latest Bear to fall victim to injury, and is now the 12th player Chicago has placed on IR, tweets Biggs. A third-round pick under the club’s previous regime, Sutton was involved in trade rumors this offseason, but ultimately remained in the Windy City. Thus far in 2015, Sutton had appeared in eight games, starting six. C.J. Wilson, 29, has 78 career games under his belt, with most of that time coming as a rotational option with Packers from 2010-2013. He played in 12 contests in 2015 (eight with the Lions, four with the Raiders), and picked up nine total tackles to go along with one sack. Wilson has bounced on and off Chicago’s roster this season, but hasn’t actually appeared in a game with the Bears. Offensive lineman Chris Scott will return to the Panthers‘ 53-man roster after the team activated the previously suspended blocker, Max Henson of Panthers.com tweets. The defending NFC champions made room for the sixth-year player — and fourth-year Panther — by waiving fellow offensive lineman Tyler Larsen. C.J. Wilson‘s odyssey through roster fringes continued Saturday, with the Bears again cutting the journeyman defensive lineman. Chicago released Wilson and promoted cornerback Demontre Hurst from its practice squad, Jeff Dickerson of ESPN.com tweets. The Bears cut Wilson two weeks ago before re-signing him; the seventh-year defensive lineman hasn’t played in a game yet this season. He’s spent time with the Raiders, Lions, Saints and Bears since last season. Hurst’s promotion coincides with corner Deiondre’ Hall being out, per Rich Campbell of the Chicago Sun-Times (on Twitter). The Patriots signed defensive tackle Woodrow Hamilton off their practice squad, Doug Kyed of NESN.com reports (on Twitter). Hamilton could become the Pats’ third defensive tackle against the Browns, with third-round rookie Vincent Valentine nursing a back injury and only four DTs listed on the roster. The Lions signed outside linebacker Steve Longa off their practice squad in a busy day of transactions, Tim Twentyman of DetroitLions.com tweets. A rookie UDFA, Longa spent time with the Seahawks earlier this offseason. He and now-activated Armonty Bryant take the roster spots of Aaron Dobson and offensive lineman Brian Mihalik. DeAndre Levy remains out as well, creating a need at the position. The Buccaneers are waiving wide receiver Freddie Martino and linebacker Josh Keyes, as Greg Auman of the Tampa Bay Times tweets. Martino saw time in the last two games but did not record a catch. The Bears re-signed defensive end C.J. Wilson, according to Adam Caplan of ESPN.com (Twitter link). Wilson was just released over the weekend, but now he’ll trade roster spots with running back Raheem Mostert, who was waived earlier today. The Panthers are re-signing wide receiver Brenton Bersin, reports Joseph Person of the Charlotte Observer. Bersin was waived a few days ago so that Carolina could add more defensive line depth. The man who originally replaced Bersin — defensive end Larry Webster — has now been cut, tweets Aaron Wilson of the Houston Chronicle. Since his four-year stay in Green Bay — one that included a rookie-year Super Bowl ring — C.J. Wilson has not had much luck sticking with teams. This pattern persisted on the eve of the Bears’ Week 4 contest, when they cut Wilson and promoted rookie tight end Ben Braunecker from their practice squad, Adam Jahns of the Chicago Sun-Times reports (on Twitter). No tight ends reside on Chicago’s injury report in advance of Sunday’s Bears-Lions game, but prior to Braunecker’s promotion, the team only had two on its roster — Zach Miller and Logan Paulsen. The UDFA’s been with the team since signing after the draft. Wilson, however, spent the offseason with multiple teams, the Bears and Saints after a lengthy stay in free agency. This came after he’d suited up for the Raiders and Lions the past two seasons. The Packers did not opt to bring the defensive end back after his rookie contract expired in 2014. 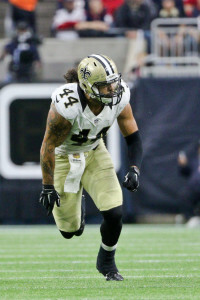 The 29-year-old defender will head to waivers after bypassing that step due to the Saints cutting him before the season. The Raiders waived Wilson in November, and after he caught on with the Lions, Detroit released him in February. Wilson has not played in a game this season after suiting up for 12 last year. He has 6.5 career sacks in 78 career games (19 starts). 7:10pm: The Bears have officially announced the moves listed below. 5:52pm: The Bears have agreed to terms with defensive lineman C.J. Wilson, according to his agents at SportsTrust Advisors (Twitter link). Terms of the deal haven’t been announced, but it’s likely a one-year contract at minimum salary. Wilson, 29, has 78 career games under his belt, with most of that time coming as a rotational option with Packers from 2010-2013. He played in 12 contests in 2015 (eight with the Lions, four with the Raiders), and picked up nine total tackles to go along with one sack. Wilson bounced and off the Saints’ roster this offseason, and was ultimately cut when final rosters were set. Chicago didn’t stop with the Wilson signing, however, as the club has made several other transactions today. The Bears have waived tight end Greg Scruggs and linebacker Jonathan Anderson, creating roster spots for Wilson and linebacker John Timu, who is being promoted from the practice squad, according to Brad Biggs of the Chicago Tribune (Twitter links). 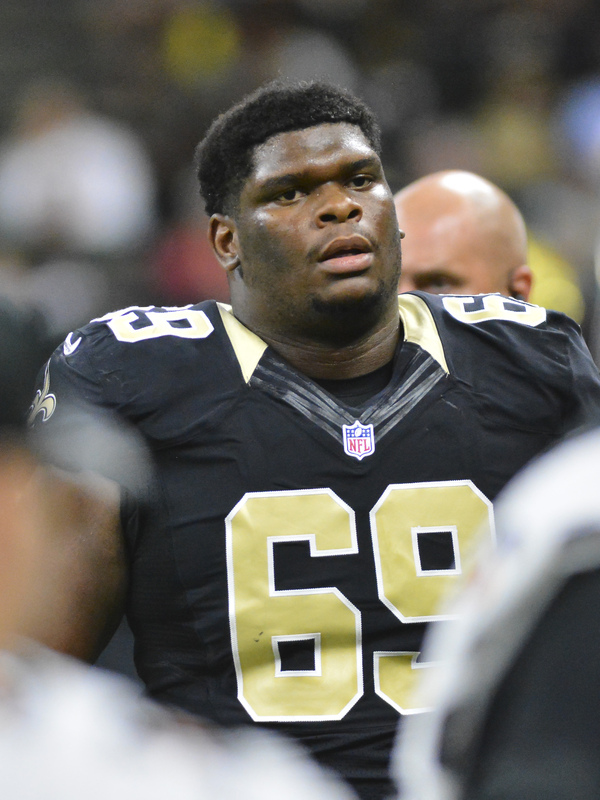 A day after releasing him, the Saints moved to re-sign defensive tackle C.J. Wilson, Josh Katzenstein of NOLA.com tweets. Wilson comprised part of New Orleans’ cuts to 75 on Tuesday, but for now the veteran will stay in Louisiana. It might not be for long since the team still has to pare its roster down to 53 by Saturday afternoon. The Saints signed Wilson earlier this summer during a busy transaction period for the team with regards to veteran-minimum-type players. Wilson suited up for both the Raiders and Lions in 2015. His most notable NFL contributions came with the Packers in the early part of this decade. The former Green Bay seventh-round pick started 11 games for the Packers from 2010-12, including a seven-start season in ’12. The Lions released the 29-year-old Wilson in February. The Saints still had a bit of work to do in order to comply with the league’s 75-man roster limit, and they’ve made a few final moves today. The club announced that it’s released defensive tackle C.J. Wilson; waived linebacker Tony Steward, tight end RaShaun Allen, and cornerback Brandon Dixon; placed defensive end Hau’oli Kikaha on PUP; and placed offensive lineman Avery Young on NFI. Wilson, 29, agreed to a one-year deal with New Orleans earlier this summer. 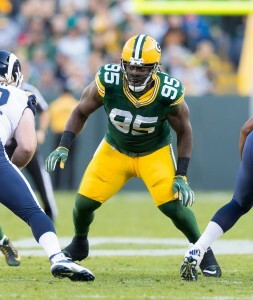 The veteran defensive lineman has78 career games under his belt, with most of that time coming as a rotational option with Packers from 2010-2013. Wilson played in 12 contests in 2016 (eight with the Lions, four with the Raiders), and picked up nine total tackles to go along with one sack. Kikaha, meanwhile, appeared in 15 games and made 11 starts for New Orleans in 2015. In that time, the 24-year-old racked up 4 sacks, 50 total tackles, two passes defended, four forced fumbles, and one fumble recovery. The Saints announced that they have placed cornerback Kyle Wilson on injured reserve, ending his season before it could even begin. The nature of the injury is not yet known. In a related move, the team has signed defensive tackle C.J. Wilson. Kyle Wilson, a former first-round pick, spent the first five seasons of his NFL career with the Jets before heading to New Orleans for the 2015 season. While he didn’t live up to expectations in the Big Apple, Wilson played well as the Saints’ third cornerback last season, picking up 27 tackles and an interception. Pro Football Focus ranked him 47th out of 111 qualified players at the position. 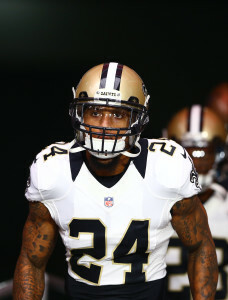 In March, the Saints re-signed him to a one-year, minimum salary deal. As the Saints’ depth chart on Roster Resource shows, New Orleans doesn’t have much in the way of depth at cornerback. Aside from Wilson, the Saints will draw from a group of Delvin Breaux, P.J. Williams, Brian Dixon, Damian Swann, Keenan Lewis, Brandon Dixon, and Tony Carter. Of course, not all of those players will make the 53-man roster. C.J. Wilson, meanwhile, is a 29-year-old defensive lineman with 78 career games under his belt, with most of that time coming as a rotational option with Packers from 2010-2013. He played in 12 contests in 2016 (eight with the Lions, four with the Raiders), and picked up nine total tackles to go along with one sack.